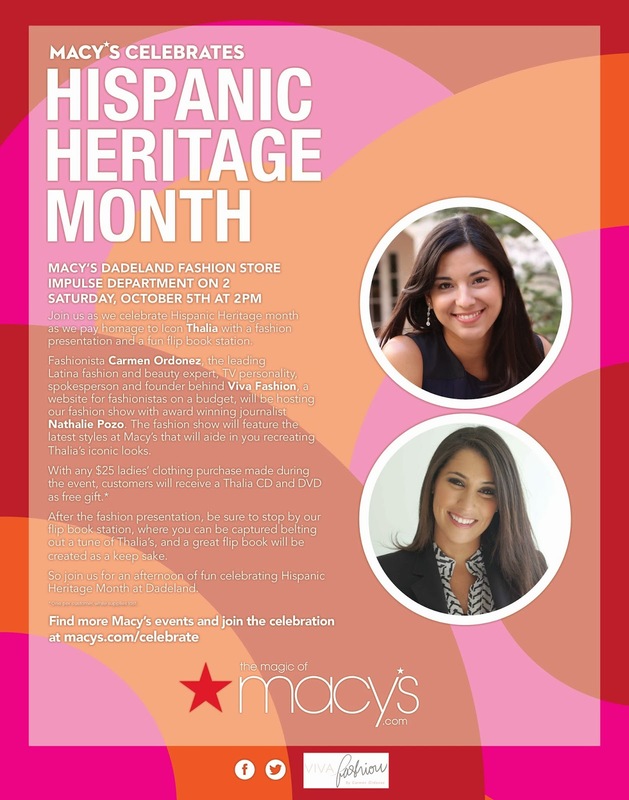 This Saturday (October 5th at 2pm), I'll be co-hosting a special event at the Macy's in Dadeland in celebration of Hispanic Heritage Month and style Icon Thalia. There will be a fun fashion show featuring the latest styles at Macy's that will help you recreate her iconic looks. Also, with any $25 ladies' clothing purchase made during the event, you'll receive a Thalia CD and DVD as a free gift. So if you're in the Miami area, please stop by and say hello! I would love to meet you. Here's the flyer with all the details.